The Internazionali BNL d’Italia in Rome produced many highlights once again this year. Even though logic was mostly respected in the women’s draw, there were still several surprises throughout the week which made for a memorable 2018 tournament. While 13 of the event’s 16 seeds advanced to the second round, Italy’s Roberta Vinci played the final match of her career. Awarded a wildcard into her home tournament for her swan song, she fell in the opening round to Aleksandra Krunic after which an emotional tribute video was played on court. For her part, world no. 40 Maria Sharapova defeated Ashleigh Barty, Dominika Cibulkova, Daria Gavrilova, and fifth-seeded Jelena Ostapenko to reach just her second semifinal of the season. 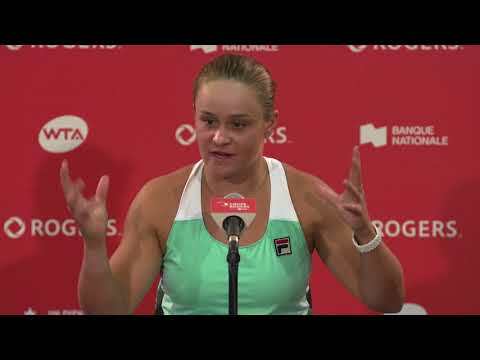 She knocked reigning French Open champion Ostapenko following a riveting 3 hour, 11 minute battle in the quarter-finals. In the final four, the Russian faced World No. 1 Simona Halep. She arrived for the match having logged five times more time on court than her Romanian opponent. In the end, Sharapova saw her impressive Rome run end following a 4-6, 6-1, 6-4 defeat. “I think I played my best match on clay and I am very happy to win even though she was at her best,” Halep said after the win. After advancing to the semifinals, Sharapova saw her ranking jump 11 places to No. 29. Young Estonian Anett Kontaveit, ranked No. 26 in the world, was all about the upset specials in Rome. 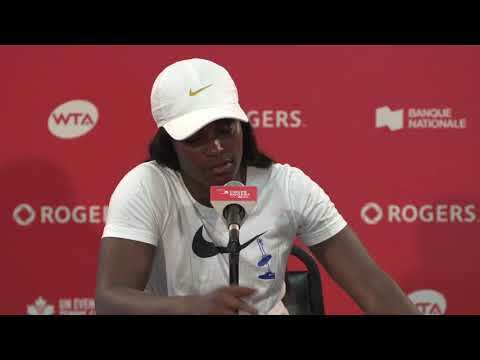 En route to the semifinals, she beat three higher ranked players including Coco Vandeweghe, world No. 2 Caroline Wozniacki, and Venus Williams for the second consecutive week. “The past few weeks have been very good for me, I have played good tennis. I have had some big win and I am very, very happy with how I am playing right now,” said Kontaveit after losing out to eventual champion Elina Svitolina in the final four. After ending the Cinderella run of Kontaveit 6-4, 6-3 in the semifinals, defending Rome champion Svitolina had Halep, feeling confident on the heels of victories over Caroline Garcia and Sharapova, waiting for her in the final. It was a repeat of last year’s championship match with a similar result as Svitolina once again came out on top, this time by a 6-0, 6-4 score.
.@ElinaSvitolina retains the @InteBNLdItalia 🏆! The Internazionali BNL d’Italia was great preparation for the players as they look ahead to Roland-Garros, the second Grand Slam of the season, where the draw will be unveiled on Thursday. You can bet that there will be some very interesting matchups… stay tuned!